Did you know words can dance? It’s true. A carefully chosen word will mambo around your mind and, in the right context, foxtrot into your heart. In fact, some words are capable of dancing off the page and will inspire you to act immediately. The Internet is full of people that write content every day, yet many of them don’t understand that they are unintentionally killing their content. By not following a few very simple strategies that will inspire rhythm in their message and keep their words dancing, they risk losing their dance partners and audience. Do you ever wonder what it would be like to create compelling content that elicits an action or response each and every time, just like music does for dancers? I am here to tell you that you are only a few small changes away from accomplishing that goal. 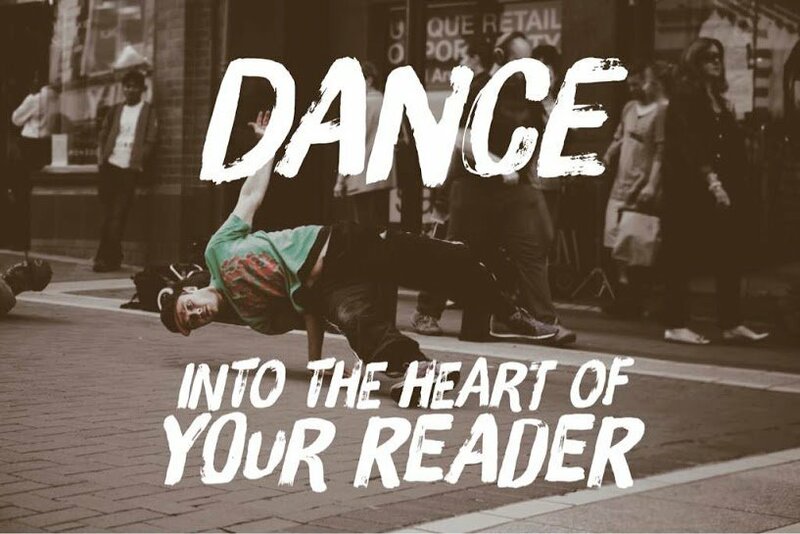 With the use of carefully chosen words and compelling content, you can dance your way into the heart and mind of your audience through your content. Every writer has challenges they face from time to time. Musical and dance performers are no different. It is the manner in which creative people address obstacles and draw inspiration from their experience, which defines their message. Whether channeling that communication through words or music, the content must inspire action. Never stop making your content great. This is what makes you a better performer to your audience and induce that action you want from your readers. In order to make yourself great at what you do, you must catapult yourself into the unknown, and be a pioneer in a territory that other people need help with. Sometimes putting on a good show with your content simply means that you understand where your audience needs to go, but perhaps they don’t understand how to get there. Pioneering places and ideas, like these, you pave the way for others to be successful in that area. Another great way to ensure that your content is creating an astounding performance for your readers is to always be reading. A great writer will read and research the topic that they are about to write. When you can comprehend the topic at hand, it makes it easier for you to take drafty old words and light a fire under them with knowledge and research. Another tip that has really helped me a lot is imitating other accomplished writers that I deeply respect. Coming out of the coal mines of Virginia, I had no immediate experience with writing, and it was something that I struggled with. Mimicking the style of others helped me to discover the voice that I wanted to write with. A new blogger will want to imitate others for this very reason. An experienced blogger may want to copy the style of a great writer because they are trying to solidify their writing even more, or to brush up on the small things they need to work on. Either way, imitation is the best form of flattery. A big step toward becoming a better writer is to acknowledge that your writing style/topics will not work for your audience all the time. Just as there are different dance steps in performing the mambo, cha-cha and foxtrot, you may have to learn different steps to approach your content writing and inspiring your audience. Just as dancers practice routines and do dress rehearsals to get meaningful feedback from others on their performance, ask someone to proofread your writing before hitting the “publish” button. Having someone critique your work means that you want to improve your delivery and you are committed to becoming a better performer. A good composer and/or performer uses their environment and even their peers for creative inspiration. That is a big reason why dancing with a partner or in front of an audience is so much more enjoyable. A great blogger understands the problems that other bloggers face, because they’ve probably faced them as well. If you haven’t faced them yet, then there’s a surprise twist around the 13th month. You need to be aware of what your audience is talking about, and what they need. You also have to understand the environment around you so that you can be inspired in order to inspire others. When you can understand a problem within your target community, all that’s left is to create a solution in an article that both captivates and compels readers to take action. Writing great content that compels your readers to take action shouldn’t be hard to find, but sometimes it is. There are many strengths that you have as a writer, use these to find that content that inspires others. When you do find that needle in the haystack, look next to it; you’ll find the secret formula for delivering a performance that appeals to every audience. Even though that needle may seem impossible to find, eventually people learn that it was never a needle they were looking for, they just needed to get the hay out of the way. It is important to never give up searching for the writing rhythm that makes your words dance. Preach to a choir of one. If you write it correctly, that person will listen. Because compelling copy jumps off the page, it lures and attracts the reader, it brings inspiration to someone who feels like their cart is stuck in the mud. Always create content that is moving inside of the mind of your reader, because dead content is just wasted time. And you never want to waste your readers time. Do you have a content writing tip that has been really effective for you? Let us know in the comments below, we would love to hear about it!